Headphones seem simple, but it can be crazy difficult to choose a pair. Even if you’ve only got a few bucks to spend, you’ll soon be overwhelmed by choice. No worries: with our collection of in-depth headphone reviews, you’ll have everything you need to make a choice - be they on-ear, over-ear, or in-ear; wireless, or wired. Let’s jam. With very few flaws, and an almost endless number of positives, the TDOEs are among the best headphones you can buy for this price. If you're looking for something a little different, look no further. We had never heard of ADVANCED. Before this year’s CANJAM New York event, they had flown completely under our radar. We have no idea why - normally, we’re pretty good with this kind of thing. Then we heard their Alphas. There were plenty of manufacturers ready to capitalise on the new Lightning standard, and Audeze, predictably, were one of them. The EL-8 Titanium is their attempt to create a pair of planar magnetic cans that can operate off an iPhone 7. When AUDEZE told us they had a secret project in the works, our first thought was not ‘gaming headset’. Why would it be? AUDEZE are known for stellar headphones, but not for gaming. Then they sent us the Mobius. It’s always a bit of a gamble, calling something cool. Cool is such an ephemeral term. After all, Limp Bizkit were once cool. So were Capri pants, ironic T-shirts, Blackberries. The Audioquest NightHawk Carbons are cool, and always will be. Beats by Dre are arguably the easiest brand to pick out of a crowd. The infamous “b” located on any earcup, bud, or case can be spotted from a mile away. With headphones, it’s not just about the sound quality. There is so much more that makes a good pair, and it starts the moment you open the box. To be truly excellent, a pair of headphones has to impress from the very start. Bose made their name with noise-canceling tech. They’ve earned their reputation for it - it’s among the best in the world - but how do they fare when they create a pair of headphones that don’t have any noise-canceling capabilities? The Bose QuietComfort 35 IIs are the best wireless travel headphones available. We have absolutely no doubt about this. After spending a month with them, including two international trips, we concluded that, in this regard, they are simply unbeatable. To more established headphone companies like Sennheiser and AUDEZE, it must have felt like getting hit with a freight train. When French speaker manufacturer Focal made the decision to push deep into the market, few would have predicted their success. When you make the best headphones on the planet, you can afford to sit back and enjoy the acclaim. And yet Focal, a French company who produce the astounding Utopia headphones, refuse to settle. Grado's SR325e headphones might not be the newest model, but the company recently shared a little bit of their cachet with us at The Master Switch, and since these headphones are still very much available, we decided we’d give them a full review. 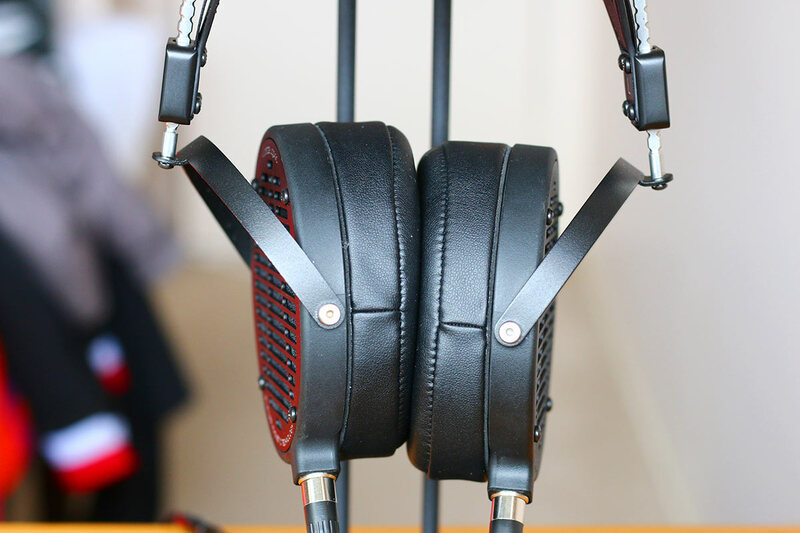 The HiFiMan Edition S. You might call them Schrodinger’s Headphones: they’re both closed and open back until you decide which one you want. They are also, just in case you were wondering, bloody brilliant. New York’s Master & Dynamic remain one of the most underrated headphone companies around. They produce some absolutely phenomenal gear – such as the wireless MW50s – and it all started with the MH40s. Despite what headphone makers would have you believe, major leaps forward have been few and far between. We’re talking tweaks, new materials, advanced tuning. Actual innovations don’t come along all that often. Until Nuraphone. It’s not often that a company known for making Blu-ray players creates waves in the audio world. And it’s a little sad that no matter how big OPPO gets, they will always inevitably be introduced with those words. Never before has one pair of cans offered so much. It’s as if the designers of Parrot’s new Zik 3 headphones decided to see just how many things they could pack into its slender frame. PSB Speakers is a household name. The head honcho, Paul Barton, really wanted to recreate the same PSB sound that we all know and love, and put that tech into something a little more portable. Some things in this world just work. Bacon sandwiches. Very cold beer. Dre and Pac on California Love. The relationship between Supergirl and The Flash. And the Sennheiser HD1s. Whether you’re just getting into the world of audiophile headphones, or you’re an established geek looking for something new, you need to hear these. The Sennheiser PXC 550s are simultaneously one of the most convenient, enjoyable pairs of headphones we’ve ever used, and also the most infuriating. Most headphone companies probably wouldn’t dare attempt what Sol Republic does with their Master Tracks. Put a pair of Sony headphones out the box, and all you have to do is plug them in and put them on. Not these. You’re not going to believe us when we tell you this, but you can get everything you need to know about V-MODA by taking one look at their warranty program. See, they don’t call it a warranty. They call it the Immortal Life Guarantee. We recently reviewed the Beats by Dre Studio3 Wireless, and awarded them the title of worst headphones ever made. A little harsh? Not quite. Maybe the Solo3 Wireless can avenge them. The world of on-ear Bluetooth headphones isn’t exactly known being a luxury market. One manufacturer looking to buck that particular trend is New York's Master & Dynamic. One of the things that we, and just about everybody who loves music, are not very good at is looking after our hearing. When there are so many fantastic headphones and speakers to listen to, who cares about resting your ears? Very few audio designers are as accomplished as Aaron Fournier. After stints at Tivoli Audio and V-Moda, the Boston-based engineer started his own company, Thinksound, with the goal of making environmentally-friendly headphones that sounded fantastic. It's not easy to create a best-selling pair of earbuds. Doing so without sacrificing sound quality is even harder. And keeping things affordable? That's the grand slam. The Apple AirPods created a wave of truly wireless earbuds, but they never quite made our review list. Until today. They managed to snag a spot in our most recent wireless headphones roundup, and we’d like to go further into why we chose them. If it weren’t for the fact that the Audiofly AF1120 in-ear monitors are in the conversation for the best we’ve ever listened to, we would have chucked it in long ago. Because there are so. Many. Tangles. Bang & Olufsen have always felt like a dark horse in the headphone world. The company makes excellent stuff, but we’ve always associated the Danish audio wizards with speakers, first and foremost. The BeatsX wireless earbuds have become stupidly popular. Despite the upsurge in true wireless headphones - in other words, ones without any cable at all - they've managed to sell extremely well. The urBeats3 in-ear headphones are among the company's top-sellers, and we recently spent a month with a pair to find out why. It is a month we will regret until the end of time. Meet Brainwavz: a company with a slightly strange name, based out of Vancouver, Canada, who make some fun stuff. Most of it is of the portable audio variety, and their B200s are a good example. Earbuds and in-ear monitors can be a really weird market. Its devotees are legion, and they’re often prepared to give these often very affordable and seemingly inconsequential devices a huge amount of love and attention and analysis. Last year, we reviewed the Focal Spark, an excellent pair of buds that retail for a little under $70. When they were shipped to us, they also included the wireless version, unsurprisingly called the Focal Spark Wireless. Spoiler alert: we think the Jabra Elite Active 65t are best earbuds currently available. They aren't perfect, but they do so many things so well that it would be crazy to put anything else above them. Although they can initially be bewildering, they’re a real gem, and it’s clear that Jaybird put a lot of thought into the way they work. We're big fans of New York's Master & Dynamic. They've got a knack for creating headphones with a distinctive look and feel, which also happen to sound fantastic. We make no bones about being huge fans of MEZE Headphones here at The Master Switch. Why wouldn’t we be? The Romanian company blew our minds with the gorgeous 99 Classics over-ear model, which is probably our favorite pair of this year. We were curious to try out Optoma NuForce's Be2 earbuds - while the company may be boring, in terms of corporate identity, their equipment has impressed us before. If you’ve heard the name Shinola, you’re probably familiar with the luxury watches, accessories, or even bicycles that they make. If you’ve never heard the name Modular, or Mod-1, we aren’t surprised. Until recently, we hadn’t either. But Modular has released a pair of wireless headphones that might just dethrone the uber-popular Beats by Dre Solo3 Wireless.